James Gleeson TEP is an Advocate of the Royal Court of Jersey and a non-practicing English qualified solicitor. James is a founding Partner of Dickinson Gleeson. James’s practice is in commercial litigation, with an emphasis on trusts and funds disputes and complex cross-border fraud and asset tracing matters. He also advises in relation to regulatory matters and insolvency. He acts for wealth providers, trustees, corporates, law firms, banks and government agencies. Recent cases involving James include O’Keefe v Caner and others  EWHC 1105 (CH) an English case determining issues of Jersey law relating to the prescription period for claims against directors. James gave evidence as one of three Jersey Advocates called to act as expert witnesses in the proceedings. James also acted for the defendants in unfair prejudice proceedings concerning interests in an Armenian gold mine. The case, which went up to the Privy Council, has produced several reported judgments, including regarding whether unfair prejudice claims are arbitrable (CRA v Global Gold  JCA061) and overturning the original worldwide freezing order (CRA v Global Gold  JRC233A). James is consistently ranked as a leading lawyer in Chambers and Partners, The Legal 500 and the CityWealth Leaders List. These guides have variously described him as “very intelligent and pragmatic,” “a very able trial advocate” and “an outstanding technician who is responsive, pragmatic and commercial”. 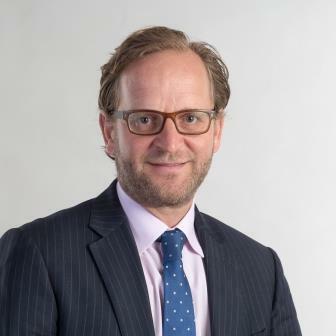 James graduated with a Double First from Cambridge University and trained at Slaughter and May, before returning to Jersey where he was made partner in the Litigation Department at Bedell Cristin. He co-founded Dickinson Gleeson in 2010. He is a member of STEP, ACTAPS, ARIES, and the Overseas Chancery Bar Association.